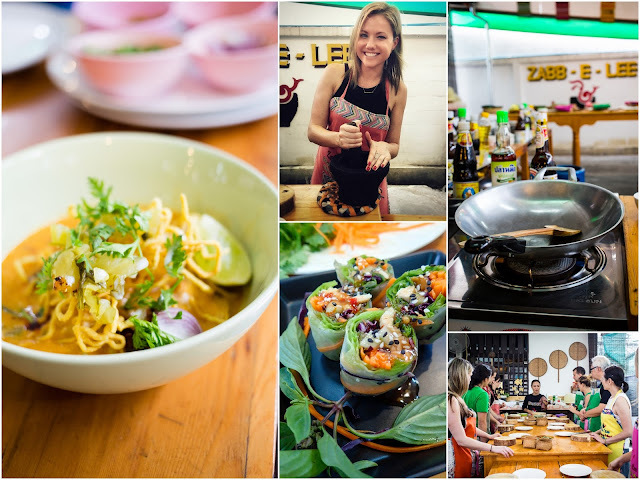 After stuffing our faces in Singapore, stop number two on our Southeast Asia adventure took us to more amazing food in the north of Thailand, to Chiang Mai. From everything I heard and read about this place, I had a feeling I would fall in love immediately and I was absolutely right. Of the four places we visited on this trip, Chiang Mai stood out as my favorite. From sampling the delicious food to exploring the markets to interacting with the friendly people to understanding the culture... it was easy to understand why it's known as "The Jewel of the North." Chiang Mai, you shine bright like a diamond. Not only was Chiang Mai my favorite locale of our trip, but our hotel here was my favorite as well. 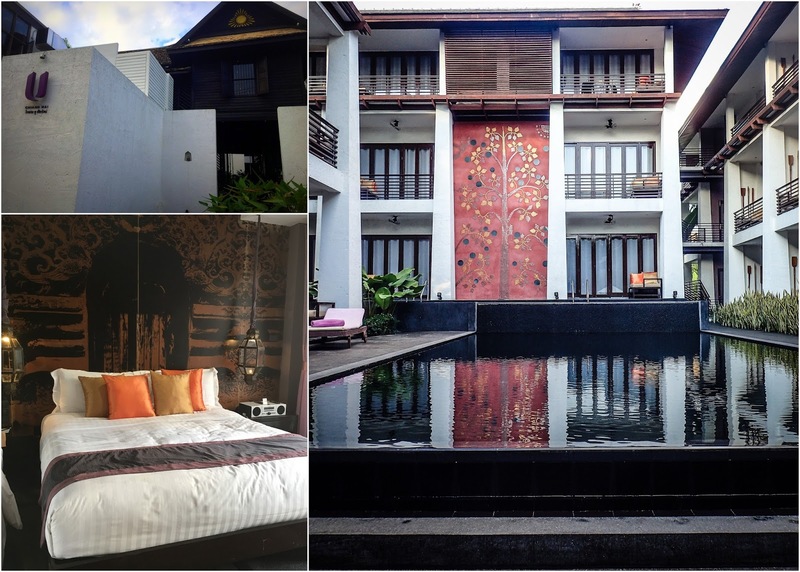 U Chiang Mai Hotel is a beautiful little oasis located in the heart of the Old City. Perhaps one of the best features of this boutique hotel: it is located on Ratchadamoen Road, so if you are planning to visit either the Saturday or Sunday Night Walking Markets (which you absolutely should), this hotel is literally steps from all the action. *The market starts setting up around 4pm, but doesn't truly get going until 5pm. I recommend going early, as it will get considerably more packed as the night gets later. The market wraps up around midnight. Shumai (top left): Steamed dumplings with different types of filling, often pork. Noodles (top right): All of your favorites from your favorite Thai restaurant back home, except a million times better. 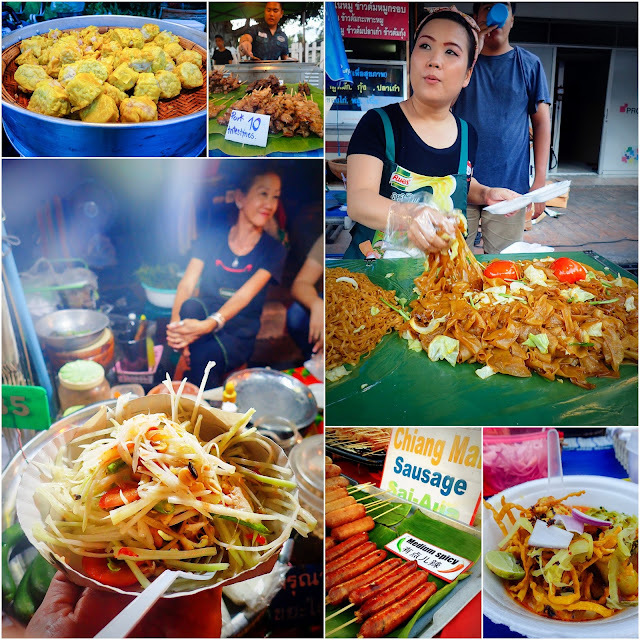 Pad Thai made to order, Pad See Ew, and endless variations to try! Chiang Mai Sausage (bottom middle): Also called "Sai Aua," you will see this everywhere in Chiang Mai, sold on the street at various times throughout the day. It's generally made with minced pork meat, herbs and red curry paste. Sometimes they will also be stuffed with some rice, which is delicious as well. 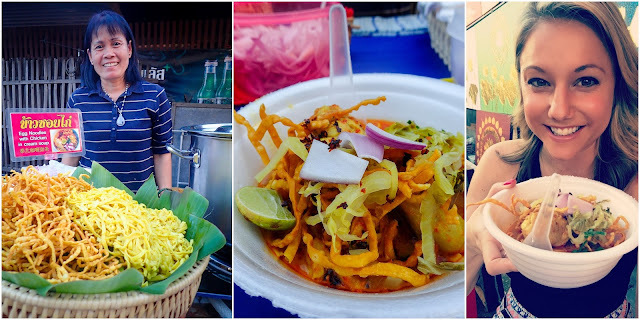 Khao Soi: As I mentioned above, Khao Soi was my favorite thing I ate the entire trip. It is a spicy curry soup made with both boiled egg noodles and fried ones. The flavorful broth is generally made with either beef or chicken and topped with the crunchy noodles, pickled greens, onion and a squeeze of fresh lime. 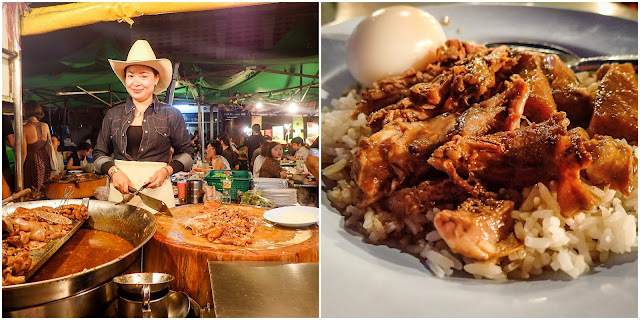 It is a Burmese-influenced dish that is really only eaten in Northern Laos or Northern Thailand, so you should definitely seek it out while in Chiang Mai. It's generally enjoyed as a lunch dish, so I was a little worried about finding some considering our days were pretty packed with excursions and activities. If you know me, you can imagine how pumped I was to find this lovely woman's Khao Soi stand at the Sunday Night Market. That smile says it all: I was in my happy place. Khao Kha Moo: If Khao Soi was my #1 dish of the trip, Khao Kha Moo is #1a. It is stewed pork leg cooked with a variety of spices including cinnamon and star anise and generally served over rice. What it lacks in photogenic qualities, it absolutely makes up for in taste. I didn't realize until I took my first bite that I had actually had this before at my favorite Thai restaurant in San Francisco (and had been obsessed with it.) The flavors are insane and the meat is melt-in-your-mouth tender. And if you have a chance, you should venture up to Chang Phueak, the North Gate in Chiang Mai, and get it from the lady in the cowboy hat, you can't miss her. (Genius marketing.) If she looks familiar, it's because she's been featured by Anthony Bourdain in the past. And for good reason. Her stuff is amazeballs. On the tables, you will find pickled greens, raw garlic and bird's eye chilis for garnishing. However, I actually didn't realize this until after I was almost done eating because I was excitedly devouring my pork leg. Speaking of food... Take a cooking class! Even if you don't cook as much as I do, I think pretty much everyone would enjoy this unique experience in Chiang Mai. 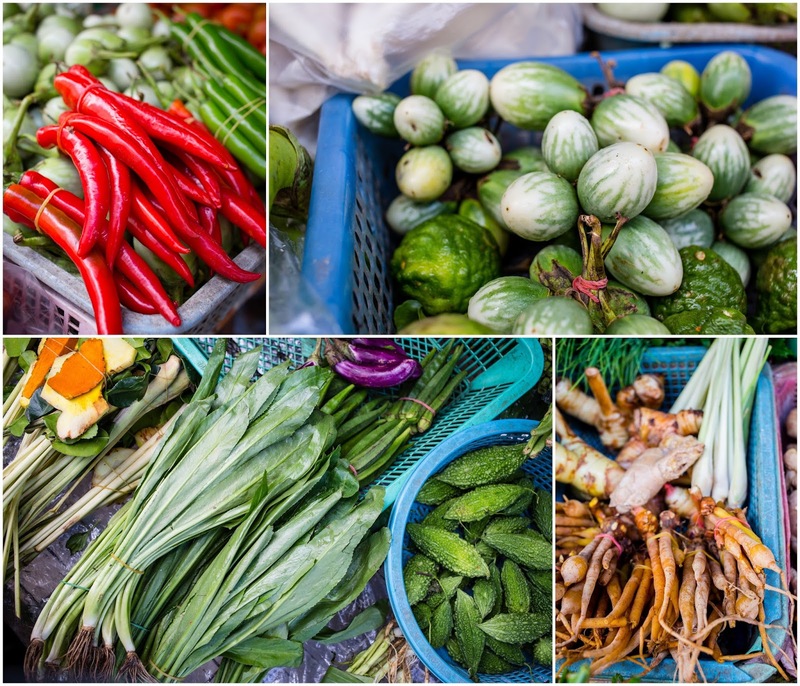 Almost all of the cooking schools include a visit to a local market, where you will learn more about the interesting ingredients you've been sampling on the streets or in restaurants. You will cook with produce you've likely never seen or maybe even heard of, and you will gain a better understanding of what makes this cuisine so special. 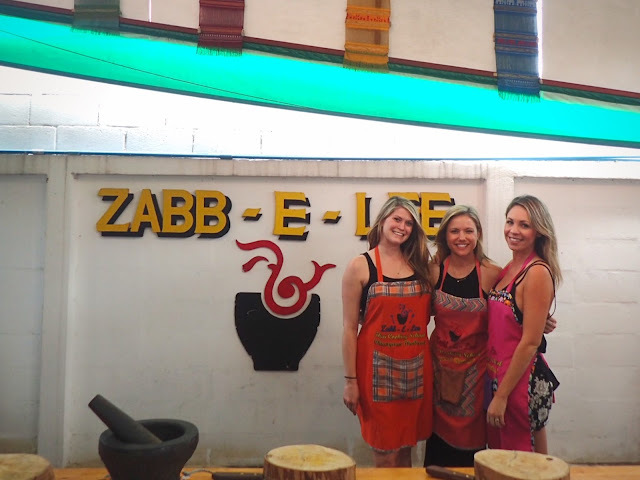 Zabb-E-Lee Thai Cooking School: From what I saw on Trip Advisor, you have a lot of great schools to choose from in Chiang Mai. So do a little research and pick the one that best suits your tastes and schedule. We settled on Zabb-E-Lee because they offer a morning class, which allowed us to fly out later that afternoon. (They also offer an evening class if you are doing other things during the day.) It also had Khao Soi as one of the menu options, so you know I was sold when I saw that. Everyone gets their own cooking station, and each person gets to choose which dishes they would like to cook. In all, you will make an appetizer, a stir fry, a soup, and a curry paste (to be made into a curry dish), as well as mango sticky rice. (Definitely come hungry!) They will also send you home with a recipe book so you can try making them once you return home and are craving those unforgettable Thai flavors. 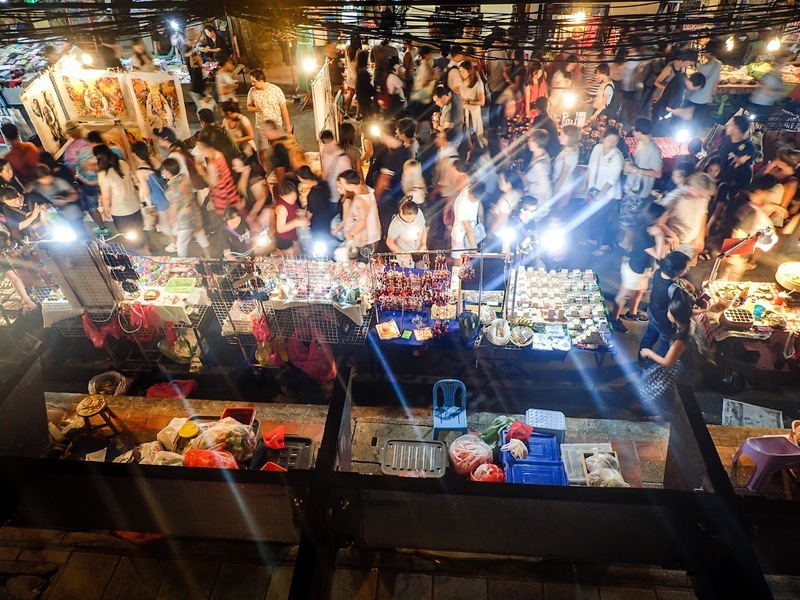 The school will pick you up at your hotel, and offer to either drop you back there or at one of the main Chiang Mai attractions (such as a market, a temple or spa.) It is open air, so keep that in mind when deciding what to wear, especially if it's a warm day. *I'm definitely planning to share some of these recipes on the blog, so if there are any you are interested in learning, please let me know in the comment section. Among some of my faves we made: Pad Thai, Tom Yum soup, papaya salad, fresh spring rolls, and of course... Khao Soi! Take a bath with an elephant: Another activity that should be at the top of your Chiang Mai bucket list is an up close and personal experience with Asian elephants. As I learned first hand in South Africa, elephants are majestic creatures that should be revered, not harmed. 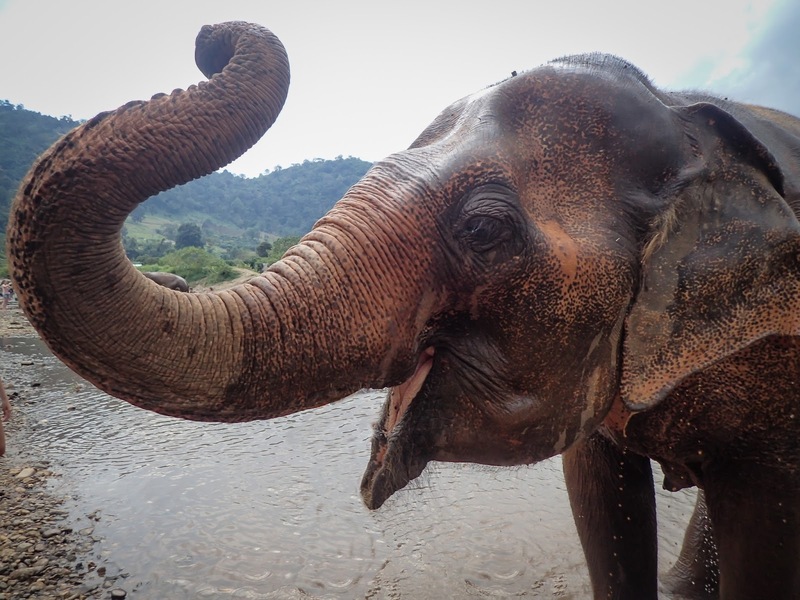 And that is why Elephant Nature Park is so special, making it the #1 outdoor activity in Chiang Mai on Trip Advisor. 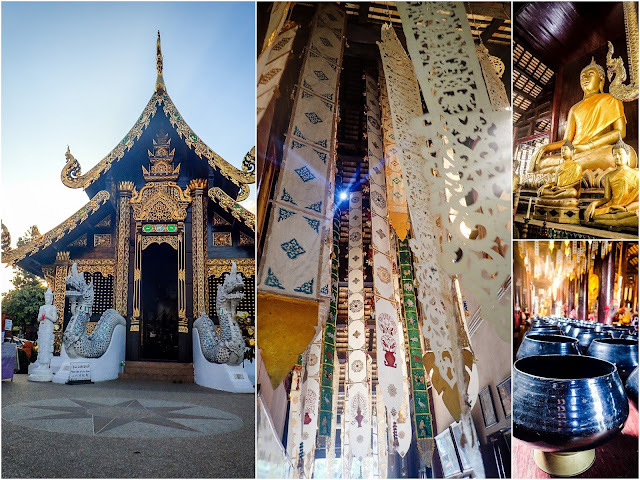 Reward those tired muscles with a traditional Thai Massage: There are no shortage of options for massages in Chiang Mai; there's even a spa at U Chiang Mai Hotel. 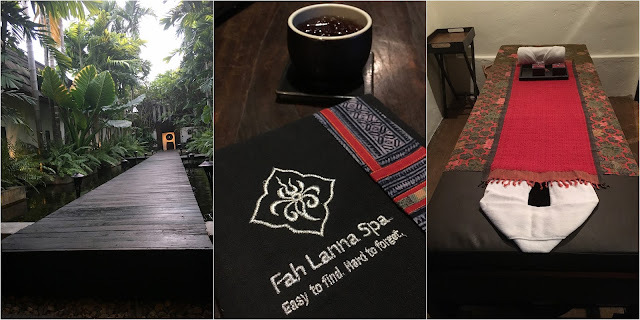 However, it was a little pricier than some of the stand alone spas, and Fah Lanna Spa gets rave reviews on Trip Advisor. The space itself is beautiful, and the massage was awesome as well. Just a heads up: this is not like the massages you likely get at home. There are no lotions or oils involved. In fact, they will actually give you a loose-fitting outfit to wear during the treatment, which includes a lot of stretching and even walking on your back! Best of all, it will only cost you 600 baht (about $17). They will also arrange to pick you up at your hotel if you'd like. 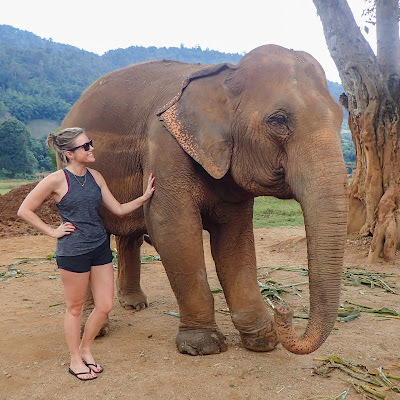 Chiang Mai was the best! I already want to go back. Thankfully I had some good advice to spend as much time as possible in Chiang Mai while in Thailand. My local Thai place here in Boston serves up some great Lanna food. Check out and follow my instagram (@brianchalifour) for my Thailand pics, seems like we had similar travel itineraries.